Can you feel that tingle of excitement? E3 2013 is now tantalisingly close, and 48 hours from the time of writing Nintendo will broadcast its pre-expo Nintendo Direct presentation, which will be focused on Wii U releases for Fall, Winter and beyond. It's a break from the usual live presentation, but nevertheless we can expect three days of substantial information drops, footage and teases from Nintendo, all designed to get us and consumers excited about the company's systems and games. So the hype generators are going through their final maintenance and checks, and many are anticipating footage of massive franchises on the Wii U and, let's not forget, the 3DS. Nintendo's unlikely to let the expo pass without giving some love to the portable system, though much attention will of course be on the Wii U and the games that will — we hope — bring the system to the top of various Holiday shopping lists. We will, of course, be covering everything in exhausting detail, with some of our staff preparing to encamp themselves in Nintendo Life Towers and exist on little but tea, coffee, and pizza, while we also have exciting coverage from LA planned. So before the madness begins, three of your humble writers have decided to share their expectations below. For the third time in as many years, I have the same thought going into E3: this is probably Nintendo's most important show ever. In 2011 it was because we were seeing Wii U for the first time; in 2012 it was because Nintendo had to sell everybody on the idea of the system a few months before launch. Now Wii U is out and, despite many owners adoring it, is struggling on the marketplace; E3 2013 finds Nintendo needing to prove that the system is viable, can be reinvigorated and is a solid prospect for fun and hi-jinx into the foreseeable future. Nintendo is in a difficult position with Wii U due to a wide range of factors that we've discussed here on Nintendo Life multiple times, but if there's anything that years of covering Nintendo has taught me it's that nothing is a foregone conclusion. 3DS flailed, only to be revived stupendously; while the handheld and the console markets are very different indeed, I have a good feeling that Nintendo is a few steps away from beginning Wii U's great turnaround. So I'm counting down the days to the reveal of the new 3D Mario. I'm hoping to see Retro's game, whatever it is. I want to see the first footage of Bayonetta 2, Smash Bros., more of X, Yarn Yoshi, Sonic: Lost World. And of course, E3 would be nothing without its surprises – I'm crossing my fingers for a game or two completely out of left field, a big third party exclusive or collaboration. I'm also excited to see how the Nintendo Direct format compares to the conference experience; we've seen huge information drops in Directs positioned at far less critical times of the year, so I can't wait to see what's up Iwata's sleeve for the E3 edition. Despite the absence of the live presentation, in some respects the Nintendo Direct is more exciting, from my perspective. As they're pre-recorded we can expect it to be well-paced and full of information, perhaps unlike last year's presentation where Reggie was making strange quips about French food and the intricacies of Nintendo Land were being laid out in bizarrely thorough detail. If this is anything like the Wii U Direct back in January, it could be quite a ride. Wii U is clearly the focus in the first broadcast, and I'm still hoping that one Nintendo Direct on Tuesday isn't all we're getting; ideally there'll be another one the day after to focus on the 3DS, even if it'd just give more details on games we know about with the odd surprise. More footage of The Legend of Zelda 3DS over the three days is an absolute must, surely. In terms of what I'm hoping for on Wii U, it's that the games being shown off, notably 3D Mario and Mario Kart — which both seem likely to arrive this year — show an exciting level of polish and, in the case of the former, innovation. The outstanding creativity of Super Mario Galaxy is what made me buy a Wii, so I truly hope that Nintendo's teams have found an idea for something truly special, rather than a by-the-book 3D Mario with shiny visuals; considering the standard set by the Galaxy games, that's quite a challenge! Like Mike, I'm particularly keen to see one or two previously unannounced surprises, and hopefully they'll be exclusives that push the boundaries again, perhaps with a fresh IP for good measure. Ideally the Wii U eShop won't be ignored; it's been surprising to date that Nintendo hasn't published a single game on the platform (and New Super Luigi U isn't even exclusive to the eShop) so that's a gap to be filled. Maybe, just maybe, the Virtual Console will be spruced up with additional platforms. And Monolith Soft's X, I'll take any and all coverage of that available, please. Finally, I'm going to say it and willingly incur some wrath, I think that not only will the Wii U White Deluxe model be confirmed, but a price drop of $50 would also be a smart move. If the Deluxe is $299 alongside limited numbers of the Basic at $249, then it'll set the Wii U up nicely against PS4 and Xbox One which, rumour has it, will both be available for less than $400 with the rival manufacturers making a loss on each system. Nintendo has to make the Wii U the less expensive option, so whether announced at E3 or — like the 3DS price drop reacting to the Vita in 2011 — in a few week's time, I think it's a strong possibility. Maybe early adopters will even get a goodwill Ambassador gesture, if we're lucky. This year's E3 is all about one thing: Wii U. I'm fully expecting the presentation to be dominated by Nintendo's home console as it attempts to gain some traction in the market. I think the 3DS was more or less covered during the recent Nintendo Directs and although I'm sure there will be something to show for the handheld, I fully expect this to centre around Wii U. The thing I want to see from Nintendo this year is the same thing I've wanted to see for a few years now: Star Fox. Seriously, I was just starting secondary school when Star Fox 64 came out and I am still to this day waiting for a proper sequel to it. Nintendo keep on toying with the idea - the Arwing sections in Star Fox Adventures, the 3DS remake, and yet still no sequel. I'm thinking Retro Studios is working on it, after all, who better to resurrect an old franchise, right? I'm also looking forward to seeing some of the new Super Smash Bros. game. There'll be some new characters shown off I imagine. I'm thinking Chrom from Fire Emblem: Awakening will get revealed - he'll most likely replace Ike - and perhaps a Baby Mario and Baby Luigi combination similar to the Ice Climbers; that'd be pretty awesome. I'm a big Mario Kart fan too and I'm thinking we could see some of it during the presentation. It'd be nice to see that third exclusive Sonic game too. The good thing about E3 this year is that if people like what they see, they can go buy a Wii U. It'll be the only home console at the expo with that luxury and I'd expect sales to spike during and after the show. As for the 3DS I hope Nintendo finally does it - announce Majora's Mask already! I'm thinking GBA games on the Virtual Console will get the go-ahead too. I've always said Mario Galaxy 3D will emerge eventually as well, but I think Nintendo will save that for another time. The 3DS schedule is pretty packed - something should be saved for 2014 at least! 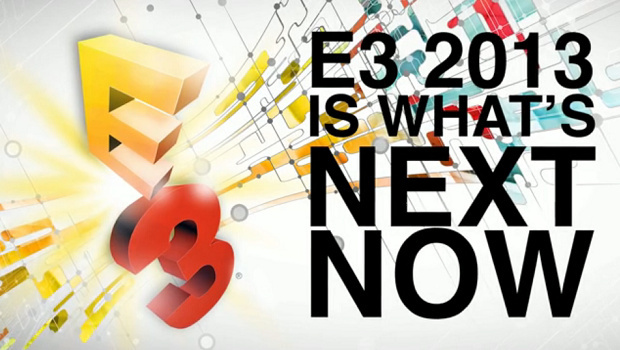 So those are some of our E3 hopes, but what about you? Let us know what you want to see in the comments below. I am so hyped up for E3! This year will be amazing for Nintendo! Wii Fit U, Wii Party U and Wii Sports U. Nintendo better bring it. I hope it all goes well. This year is all about the games, just as it should be. Let the competition worry about selling $500 systems in this economy, I want to see quality games. I'm so looking forward to this E3. 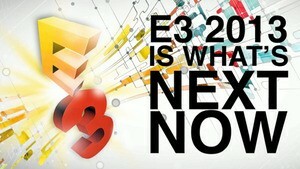 I'm expecting big things from all 3 'next-gen' consoles, plus the handhelds and the 360/PS3. Specifically for Nintendo I want to see the 3D Mario more than anything. I'm also hugely excited for the next games from Retro and Monolith, so hoping both those are a big part of Nintendo's plans. As for the completely out there hopes, I'd love for Nintendo and Square-Enix to team up and provide a sort of Kingdom Hearts type game that involves visiting all Nintendo worlds instead of Disney. I'm hoping there's a few new IPs in the mix too, on Wii U or 3DS. I really, really want to see GBA games on the 3DS Virtual Console too. Cube games on the Wii U one would be nice, but Cube games are still pretty easy to get your hands on, while as time passes, we're going to see less and less working GBA carts as the internal batteries die out. 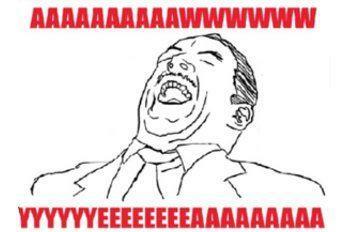 The games I am most excited for are Sonic Lost World and the new 3D Mario game. Sonic looks really neat and Mario never fails. Hype! Let's face it, Nintendo needs to lift the veil on some incredible goodies. Lots of people are prophesying doom for the WiiU but I am not too bothered by that. Once some solid games are rolling out or are on the horizon, the machines will start flying of the shelves. To touch on what Tom mentioned about a price drop, I will actually be surprised if that doesn't happen very soon. I don't have much interest in the PS4 right now, and even less in the XboxOne. The Nintendo games I'm looking forward to this E3 are Mario Kart, 3D Mario, Smash Bros, Retro's new offering, some 3DS love and some other surprises to spice things up. I have a feeling this is going to be a good one. It's a good thing I'm working from home. 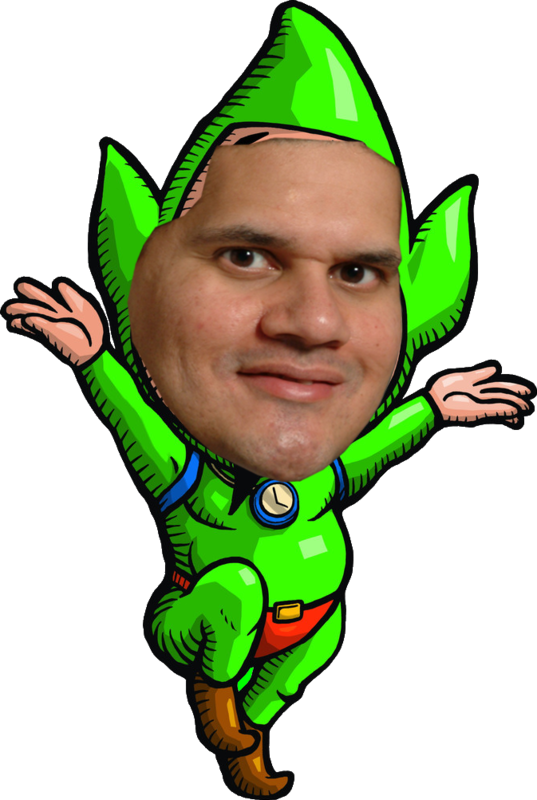 All I want is a new Reggie meme coming out of E3 2013. My body is so ready, I feel like a Purple Pikmin. Wii U is the greatest nintendo console ever. Right now almost everybody is just to impatient and blind to see it. What I've wanted for the past 8 years: new console entries to F-ZERO and STAR FOX! I really think Miyamoto-san was being cheeky last year with his "Oh, people would like another F-ZERO?" comment. Maybe that is RETRO's secret title? I'd be very surprised if Nintendo didn't bring out Wii Sports U. Maybe they wont, it might not be ready yet, and they may want to fully convince the core gamers that this system is also for them. But it's got to be in the pipeline, and I'm more excited that I maybe should be. One thing I really want to see is new packaging for the Wii U, with a brighter, smarter image of the system and it's accessories, where every system also comes with a Wii Remote Plus. I'm guessing a Price drop and either phasing out the Basic bundle or reconfiguring it. Always thought the delxue should have came with a HDD versus the basic. I am far too hyped for this Nintendo Direct than I really want to be. I always try to keep my expectations really low so I can more easily have my mind blown but I can hardly hold myself back from the hype, its extremely palpable. I'm greatly looking forward to the next Super Mario 3D game, I've been looking forward to it since the very moment I got the final star in Super Mario Galaxy 2. Thankfully, Super Mario 3D Land definitely scratched that itch. Actually I only completed it recently, though having every level timed when I wanted to explore the whole time was a slight disappointment to me, but still an amazing game nevertheless. Mario Kart U is going to be amazing too. Sonic Racing Transformed is awesome but sadly is hard to find full races on (sometimes finding any race at all is quite hard), & the rating system is kinda broken too. Though it does really well in the track designs & character selection I think. So It'll be definitely interesting to see what Mario Kart U does to top Sonic Racing Transformed. I'm greatly looking forward to Monolith's X too. Being able to fly as a mechon?! Having a huge world to explore in HD with giant monsters to do battle with?! I just hope that if it is a sequel to Xenoblade, it doesn't ruin the story of the first game. I'm sure it won't but there are a couple of story points I want them to continue & not stupidly change for the worse. Any surprises would be nice, I would instantly buy Super Mario Galaxy 3DS if such a crazy thing became real. New Starfox, 1080, Wave Race or F-Zero would be amazingly awesome. Oh & I really hope for more Iwata fruit staring contests, Reggie producing more brilliant one-liners & more of Miyamoto playing around with various Nintendo characters. Whatever happens, it's gonna be hilariously, amazingly, stupendously, quintessentially, epically... AWESOME! On top of the Nintendo titles, I want to see more third party commitment to the U. We need that. Each of the Big 3 come in with different expectations. Sony comes in the best shape going into E3, but that's less with what Sony did and more about Microsoft's panned performance and Nintendo's struggles with the Wii U. They need to actually show the PS4, show some nice exclusives, especially the new Infamous game, and explain how Gekai will improve the gaming experience. Also, confirming that they are not doing what Microsoft is doing (i.e. requiring internet every 24 hours and restrictions on used games) will be a big help. Microsoft really needs to try their best to justify some of the things they are doing if they don't want Sony to steamroll them this upcoming generation. The exclusives (and not just Halo) will be key, and there hopefully won't be a large focus on the non gaming aspects (although it should be mentioned). Nintendo is in the toughest position, with most 3rd parties having already given up on the Wii U. I agree with everyone that a price drop is necessary especially since it's expected that Xbox1 and PS4 is likely to have at least one SKU each that is less than $400. Having a price advantage will be crucial: $300 for the Deluxe with different pack in games and if the Basic isn't being phased out that should really be $200 as being only $50 cheaper is still kind of a ripoff with only 8GB. The new 3D Mario game and the Wii U Mario Kart should BOTH be announced for a Holiday release this year, otherwise I'm afraid the Wii U will continune to struggle. More info on the new Zelda and Smash Bros. is a given. I don't think this will happen, but what would really allow Nintendo to take attention away from Sony and Microsoft would either be a new core IP from Nintendo or a major 3rd party exclusive game for the Wii U. Neither of these should they happen be casual games (although I suspect that a Wii Sports U or Wii Fit U announcement/explanation is key to try to get some of the causal audience back). There are just too many games I'm already excited for that have been announced that were gonna at e3 (like ssb4) and many unannounced games as well that we dont know are coming. I'm skipping school on tuesday for this. I would love to hear a bit about the new Monolith game... just sayin'. I'd just like Nintendo to just get with the program already when it comes to online. I'm tired of them being behind the curve. Get a better account system, eShop gifting, cross play, Miiverse on 3DS, friend messaging, more interactivity between 3DS and Wii U. All of those things will do a great deal to get people buying both systems. @Fazermint good life decision, this is important. SCREW BABY MARIO AND LUIGI!!! Sorry. I just have so many feelings (about the Smash Bros.character roster). Well my most anticipated thing about E3 is obviously Smash, I'm also curious to see how Microsoft will deal with the whole Xbone fiasco. Beyond that I'm not excepting much else. Though I'm really thirsting for a new 2D Metroid game or a new Metroidvania and Advance Wars would awesome too, but I doubt were gonna see any of those. TBQH most games I wanna see are already comfirmed. mario kart for me i like multiplayer games new zelda not old one tarted up,proper mario,wheres proper fzero,metroid ?. I'm actually interested to see what the 3D Mario looks like and obviously Smash. Though a Metroid announcement would go down a treat. i would like them to say "Final Fantasy is coming home, all Final Fantasy games are being released on WiiU"
I wish they would have it on the weekend or something... most people are working at 10 am on a Tuesday! My body! It is ready! I want to see WindWaker. I am interested in how they use the game pad. @Peach64 Kingdom Hearts? As long as they don't make it a totally impossible to completely wrap your head around the story. Honestly, I think Nintendo would be dumb to announce a Wii U price drop before their competitors announce their console's prices. And I highly doubt they will do so on E3. I can see them waiting till the last minute like Nintendo did with Wii U. And if it is high enough, Nintendo won't need a price drop. Regarding games, 3D Mario and Smash Brothers take my top spots. Thankfully Nintendo Life has that live feed commentary so I can follow it at work without having to watch the whole thing and be caught. No way PS4 and Xbone sell for the wii u's price. The tech inside those machines costs at least $500, and there's no way ms and sony are going to take that much of a loss at launch. I guarantee they start at at least $400 if not $500-600. 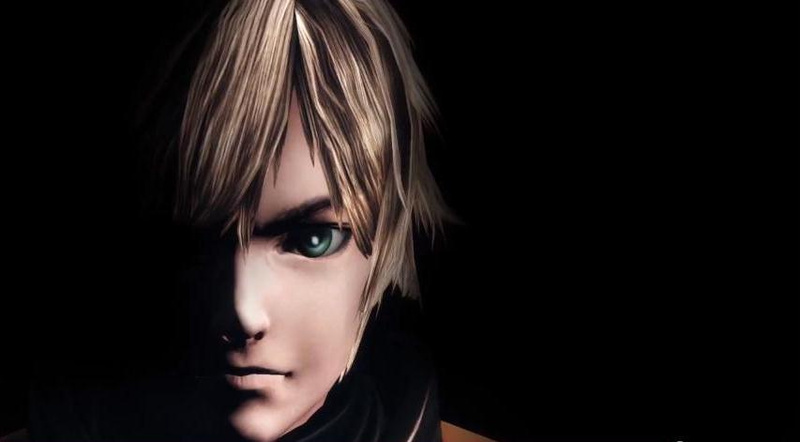 All I really want to see is more info or gameplay footage of Monolithsoft's X and Shin Megami Tensai x Fire Emblem. Haven't really heard anything since January, thats all I need for it to be a good E3 to me. @Mahe wow. u named my hopes. I wanna hear more about Miiverse on 3DS. new 3D Mario, Smash Bros.U, Sonic Lost World, Mario Kart U, 'X' game (aka Xeno Something) , just 2 more days . huh!!! The Big N is coming hard to E3. This is gonna be exciting. I'm most interested in "X", hope they blow our minds! I'm so glad Tuesday is a state holiday...I don't have to suffer the pain of sitting through school, knowing that the Direct is sitting in my inbox tantalizing me. I can watch it as soon as I wake up...it will be bliss. Anyway, I am mainly looking forward to the 3D Mario. I am absolutely clueless as to what it will be. If it is Super Mario Galaxy 3, I will be mildly upset. Of course I will still buy it and (most likely) enjoy it, but we need a fresh new 3D Mario game for the Wii U. Oh, and I want it for a Thanksgiving/Christmas release...that would help the system IMMENSELY. I'm also very excited to see the new Mario Kart. I am a SUCKER for Mario Kart. I can play it for hours on end. I've been waiting to see the new Mario Kart from the day the Wii U was announced...yes that sounds obsessive but it was inevitable...new system means a new Mario Kart. It better blow my mind...I want immensely detailed and awesome tracks, kart customization, insane and awesome online, great Miiverse integration, and, most importantly, stellar GamePad integration. There's a lot of potential for the GamePad in a Mario Kart game...can't wait to see what happens. Other games I want to see are Yarn Yoshi, the Zeldas (Wind Waker HD, the new Wii U one, the new 3DS one), Retro's game, as well as some of the other 3DS games announced (Mario Party especially). I'm done with my fanboy hype rant now. I can't really help it, with E3 so close the fanboy inside me is starting to show. As most of the people here, I am most excited for Smash Bros. Want a great character roster! I hope some of the characters who have great potential and were just merely assist trophies get a larger role in the game, such as Isaac of Golden Sun and Lyndis of Fire Emblem. Super awesome gameplay and HD graphics are an added bonus! Better storyline if there is any as well! On Nintendo platforms third party support will always be a guess, and brilliant first-party games will always be a given. I'm just hoping for a few surprises, like Nintendo picking up Shadow of the Eternals, reviving a few dead franchises, or maybe even starting a new one. I really do hope Wii U gets GTA V, though, since my PS3 is broken and I despise the 360, Wii U is the only console I'm using at the moment. Since Sony seems to be headed down the same scummy path as MS and EA, I'm much more interested in Nintendo's E3 than I was a few weeks ago. We know 3D Mario is going to be there, probably Mario Kart as well. Announce a new Star Fox, Wave Race, Punch-Out and F-Zero and I'll be getting a Wii U instead of a PS4. Hell just Star Fox and Wave Race may be enough to get me. That sub heading scared me a little. I thought you had insider knowledge and one of the surprise WiiU games is a new Legend of Zelda - Tingle game! All I need is more info on X and a Final Fantasy VI remake. oh i thought nintendo was remanufacturing nes and snes systems...ah well if not theres absolutely nothing of interest here. Metroid, be NOT gone! The Wii U is the best console for the series. Metroid is supposed to be one of Nintendo's big dogs. Show up at E3! I'm calling it now: Nintendo vs. Capcom for Wii U! So excited! Particularly about the new 3D Mario. Dunno what it is, but mario just brings out the kid in me like nothing else. Can't wait!!! I've been thinking the baby Bros. should be a Smash Bros. team for years. Nice to see someone agrees. I imagine them like two Pichus, and of course, the Ice Climbers. @Mahe: You forgot Wii Music U and Wii Play U. Either a new 1080 Snowboarding, Wave Race or F-Zero on either 3DS or Wii U, and I will be very pleased, and my E3 will be instantly made. Well, so long as they are updates of the older games, not huge departures from their respective series (eg gone very arcade-y). Also, I think the new Mario game will be called New Super Mario World, and will be in 3D and set in the Mushroom Kingdom, and will be more open-ended than other Mario games to date..... lets hope so! I want to see Nintendo announce games that use a second wii u gamepad, and make one available for purchase individually. If Chrom "enters the brawl" (for lack of a better term), I hope he doesn't replace Ike or Marth. Sure, he could have the Down+B Counter move, it's a staple for Fire Emblem characters. But since Chrom can use both swords and lances, he should have the ability to switch between both. And his Final Smash could involve the other characters from Awakening. @ParSnake "Super Smash Bros. VS Capcom", perhaps? idk about e3 this year. i have a feeling that ninty will show the same old same for the wii u. we will see a couple of mario games but what else will they show to stun me. i have a 3ds but i haven't picked up a wii u because im waiting to see what new is coming down the pipe. mario games are cool and all but i want more. before yall break out the knives and guns on me im not hating on ninty. im just saying that i want to see more. i don't need my living room taken over by a console. i just want to play some good games. i already have a pc hooked up to my tv that can do everything i want already.. i just wanna play good games. so lets see what new is shown..
Man I'm so pumped! Can't wait to see Mario U, Smash Bros 4, Sonic Lost World, Mario Kart, and hopefully Metroid, F-Zero, and/or Star Fox! Only another day until Wii U's life truly begins! I really really want Nintendo to do well at E3 this year. Wii U needs a turnaround, bring the big games. New Ice Climbers please? Also, GBA games on 3DS VC and 'Cube on Wii U. Aside from being totaly excited for the Smash and 3D Mario unviel, along with a slew of other suprises from the Big N, i'm hoping we see a new Punch-Out!! or Startropics! I disagree with it being "all about Wii U". As a matter of fact, it should include more about connecting 3DS and Wii U (and not just games like Monster Hunter, where the games are the same). Realisticly, we know we are getting Smash, so it's going to be a good E3. 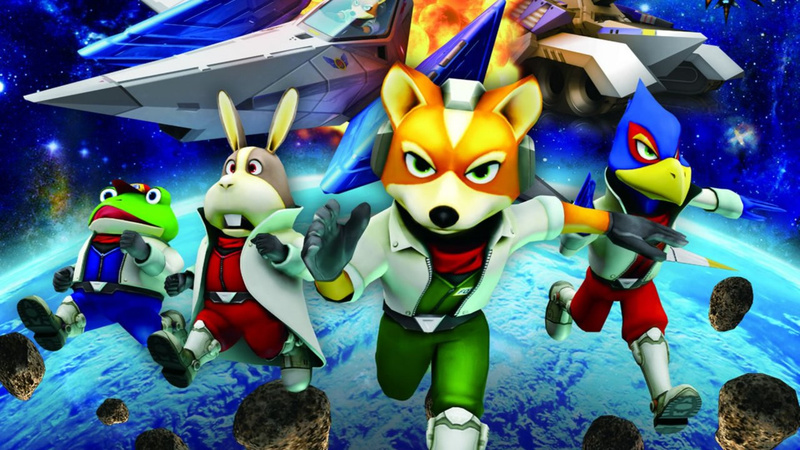 Giving us Star Fox would make it an amazing E3. Or new Earthbound. or new Super Mario RPG: 7 Stars sequel. Or Dragon Quest X. Any of those would do Nintendo. Pull a different quiver out of your satchel. @GamerZack7 Not interested in those. Also, Nintendoland already is the new "Wii Play". @Mahe: I know. I was just kidding. Quite creative, but please don't do that ever again. PS: I'm ready, i swear i am. Anything Retro announces will make waves, they are Nintendos greatest studio right now and the media will go nuts over what they produce. I don't think it's a Star Fox game because of hints from developers. E3 is tomorrow! HYPE!!! Mario 3D! SSBU! Zelda U! Secret Retro game!!! Yes! @Araknie That sounds good. As long as we get some info on the announced 3DS games I'm good. If Retro is indeed making a new game and its announced, I hope its a new IP and not just another Metroid. Sony has had a few new IPs over the last few years (including Last of Us, probably their best PS3 exclusive yet). it'd be great if capcom had a new fighter exclusive to wiiu. also, i love mariokart but i would love to see a second doubledash! I'm soo excited (do do do do) people want me to hide it (do do do do) Amma gonna lose control and I think they don't like it!! Here's a list of all the games we can expect! The ones that matter anyway! -Pikmin 3: Not really my cup of tea, but a big franchise. Many people are waiting eagerly for this game. -New 3D Mario: confirmed. I wonder what we can expect from it. Galaxy 3, Sunshine 2 or something totally new? -Zelda Alttp 2: I really want to see and hear more about it! What's the story? How much of it is new? If I forgot some titles, I may update it!